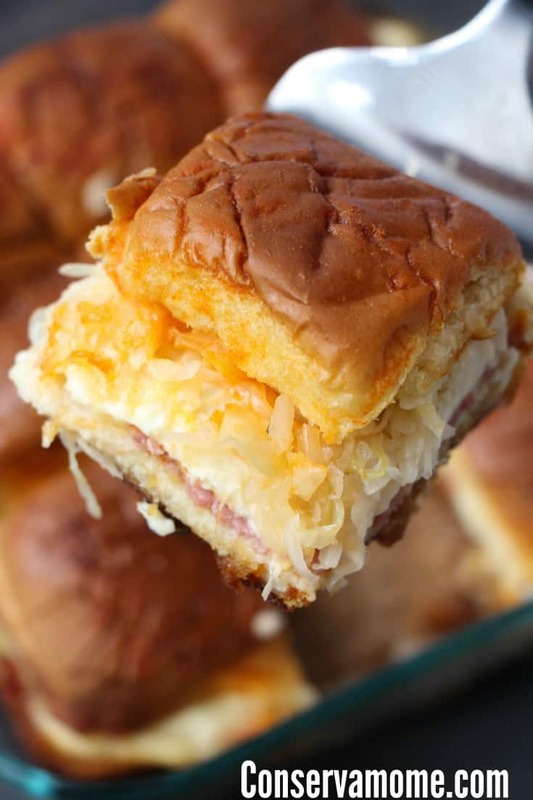 This delicious Reuben Slider recipe will be a huge hit at any gathering or party. Best of all it’s so easy to make you’ll wonder why you never tried it before! 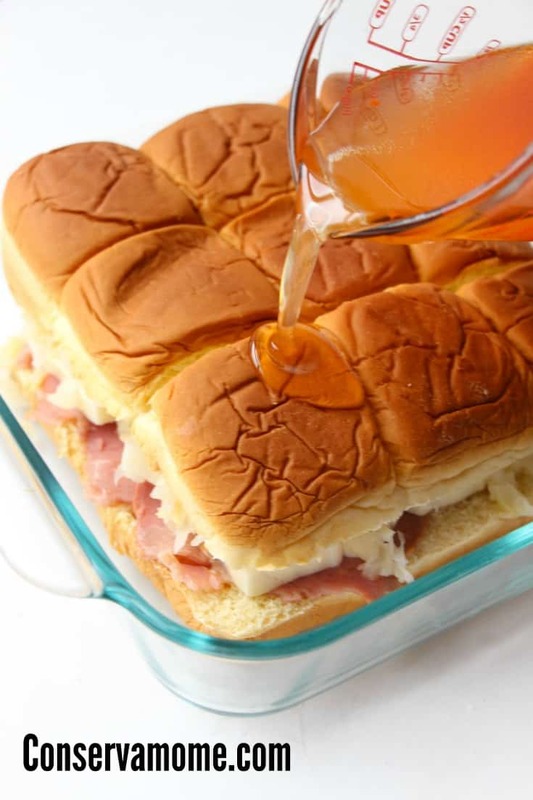 Sandwich sliders are a fun and easy way to serve up some delicious treats. These Reuben Sliders are no exception. 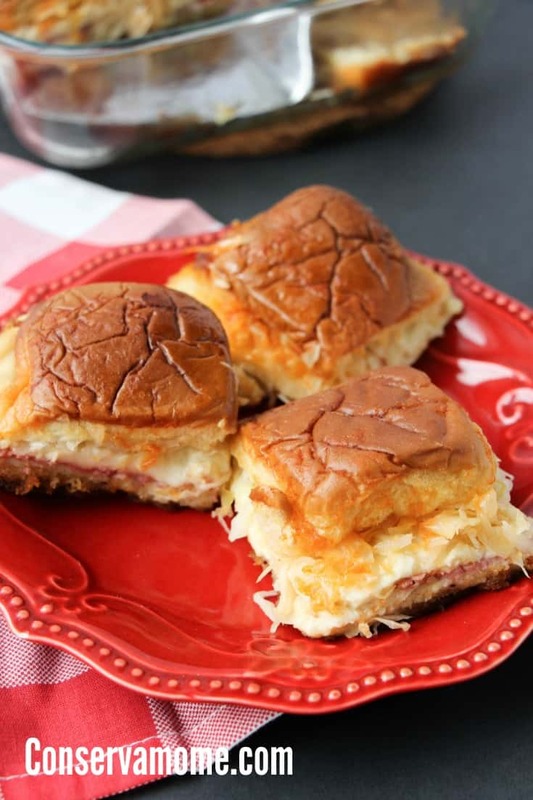 Filled with delicious ingredients that will make your mouth water and flavors that will come together in a delicious symphony of flavors, these reuben sliders will be a huge treat for anyone who tries them. So head below and find out how delicious this recipe can be, perfect for a party, gathering or for a quick & easy lunch for the family. But don’t take my word for it, try it yourself! Place the butter in a microwaveable measuring cup and melt for 25 seconds in the microwave. Stir in your salad dressing and set aside. Cut the sandwich sheet in half through the middle to create two “slices” of sandwich sheet. 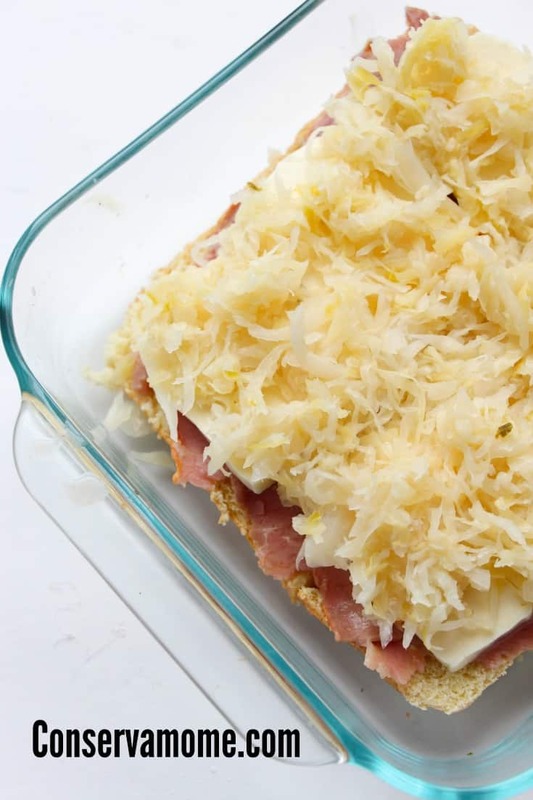 Make an even layer of the corned beef, top with swiss cheese and sauerkraut. 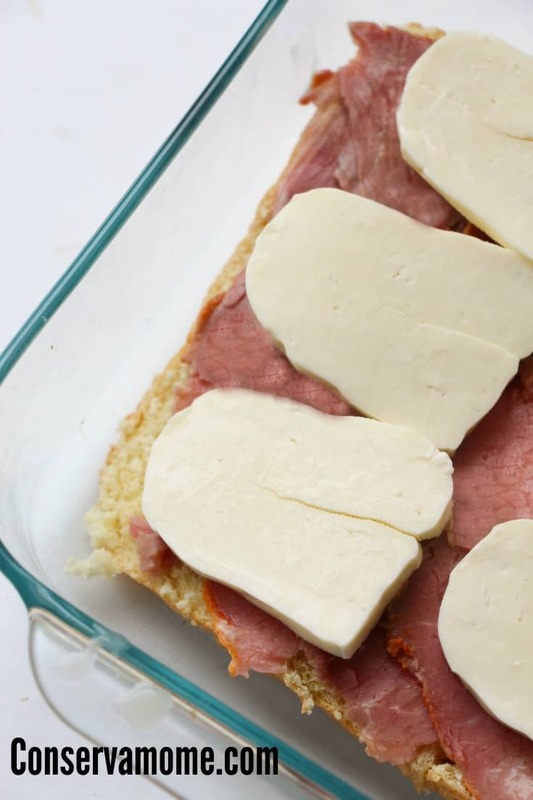 Place the top half of the sandwich sheet back on top of the sandwiches. 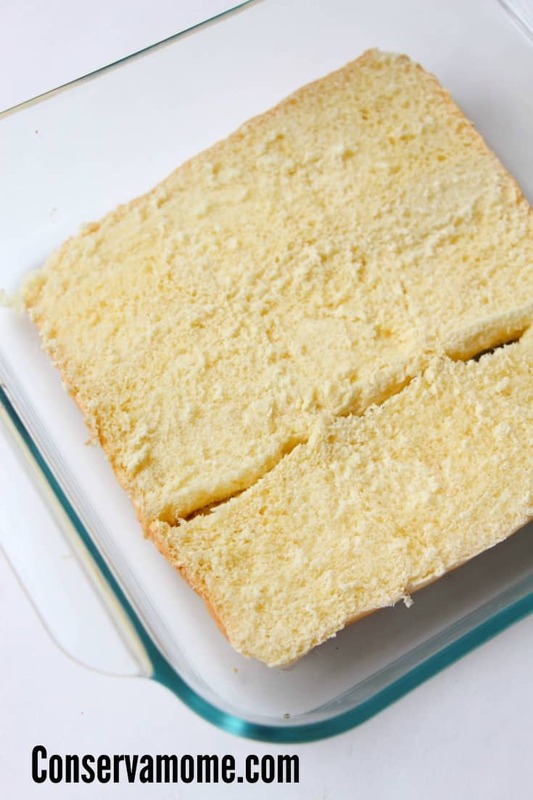 Pour the butter mixture over the sandwiches, ensuring you coat them completely. Cover the casserole dish with tinfoil and bake for 20-30 minutes until the butter has completely absorbed into the rolls. I can almost taste them, so what are you waiting for? Try them out for yourself! Looking for a nice side dish to go with this delicious treat? Check out my Fast & easy Pizza Pasta Salad or My Homemade Potato salad! What a great way to make a bunch of sliders! 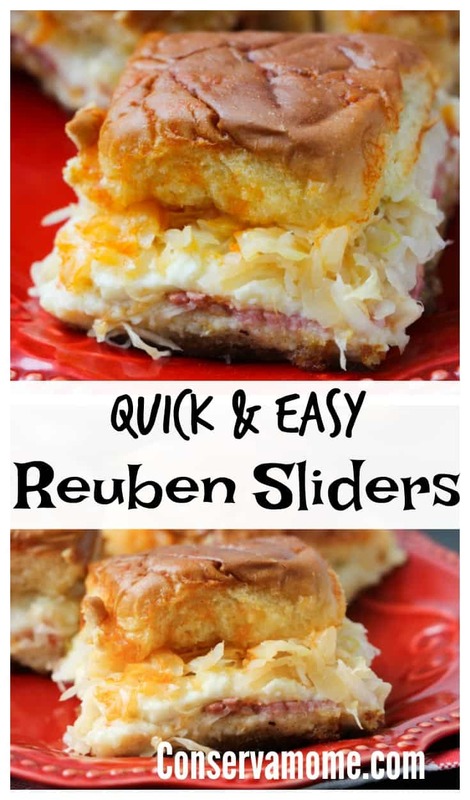 I haven’t had a rueben in years but these look delicious, I need to make these soon! Thanks for sharing! My husband loves Reuben sandwiches! He would love this!! These look quick and easy! We don’t eat meat, but everyone else in our families do. This would be good to make when everyone was over for a holiday or celebration! I think they would be a big hit!